Another couple of weird plants today! I like fragrant plants, I like spiky plants and I like freaky plants so the South American genus of colletia is my kind of genus. There are lots of species but very few, if any, are seen for sale in garden centres, probably because they are dangerous to out-of-control children running around and are likely to wound any buyers before they reach the till. I like a bit of character in my plants! These two were seen at Dublin Botanics the other week but I am sure they were incorrectly labelled. I have named them as I know them. I may not be right but I am sure I am ‘righter’ than the labels! Colletias are ‘evergreen’ shrubs that are almost leafless and the work of the leaves is done by the stems which are usually thick, rather like cacti. The stems are tough, leathery and waxy which I assume is an adaptation to a dry natural environment. In cultivation these are shrubs for a sunny, dry spot. I think they would be great for seaside gardens. They are hardy but might get killed in extreme cold: most references say down to -5c but I think they would take more than that. Their extreme viciousness means they would make excellent hedges or screens if you could buy or afford enough plants. So that they get enough sun and warmth to promote profuse flowering they are often grown against a sunny wall and they would be good around or under the windows of a house if you are security conscious. These really are impenetrable! 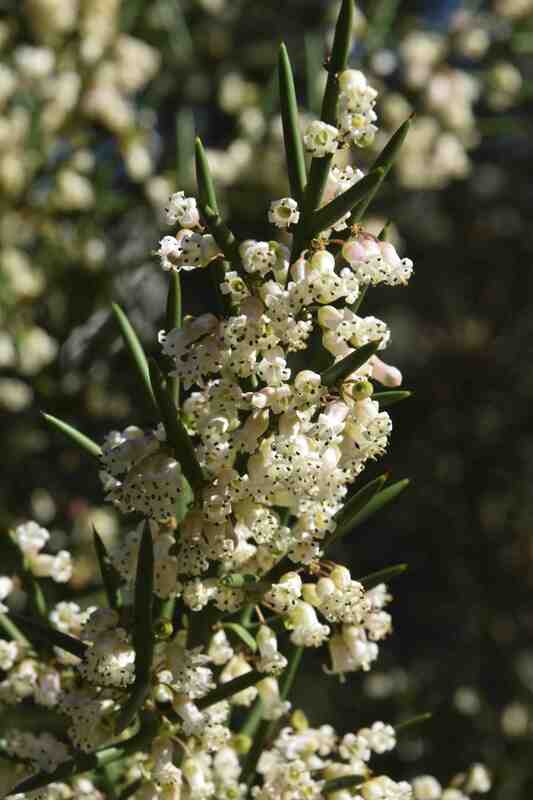 The first is Colletia paradoxa (C. cruciata). This is probably the most bizarre of the two species usually offered for sale by specialist nurseries (and neither is common). The tiny leaves soon drop off the stems which are flattened and grow to form triangular, needle-tipped mega-prickles that grow in pairs at right angles to each other. Fall into this and you will know about it. In autumn the stems carry small clusters of tiny, bell-shaped, five-petalled white flowers that are sweetly scented. Fortunately their scent is strong enough to carry on the wind so you do not have to get too close to the plant to appreciate it – Do not approach to sniff without goggles. 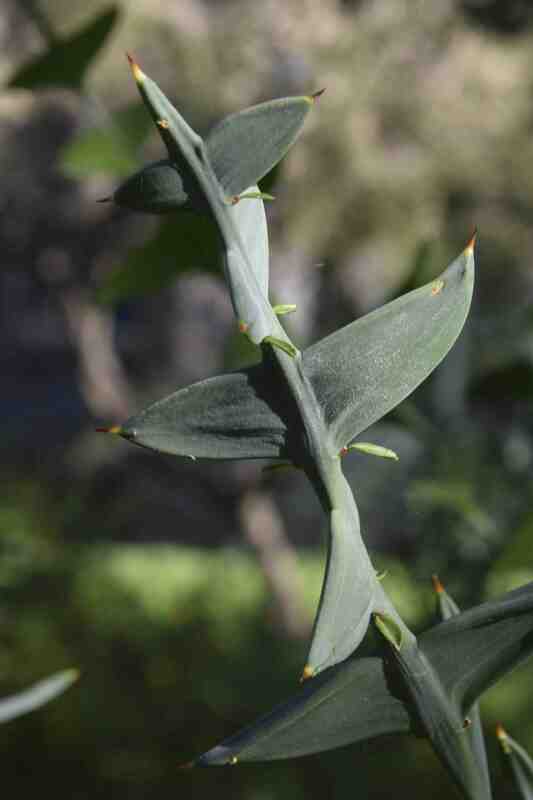 Colletia armata is probably the best for the garden because, although the stems are just as dangerously armed, they are slender and form a denser shrub. The blooms are more densely produced too and when in bloom the shrub is a cloud of fragrant flowers. Something so showy and fragrant at this time of year is a real treat. I think C. spinosissima is the same plant or at least very similar. Both reach about 3m high when mature and are long lived.